New processing techniques have allowed for the creation of decorative window tinting. These products have taken the market by storm. Interior designers, contractors and residential & commercial window installers are enthusiastically embracing these designs! As an authorized SOLYX® Dealer, we offer all of these decorative films in patterns and shades to fit your style, and they are easily replaced to update the appearance at a future date. 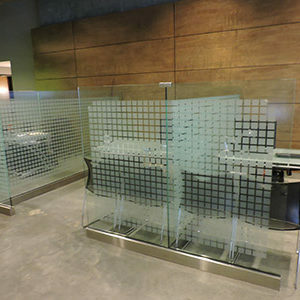 Any window or glass surface can be converted to privacy or designer glass in a number of attractive patterns. Decorative window tinting can give your front door glass or skylight glass panels a leadlight decorative look, create a sensational bathroom screen or design an attractive room divider with a designer look at a very affordable price. Decorative window tinting has a permanent acrylic adhesive system protected by a removable release liner which must be removed prior to installation. Films are installed using a water and soap based solution. 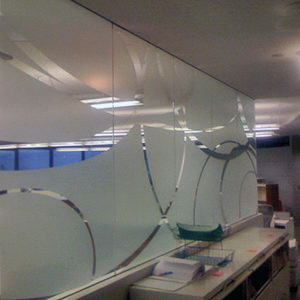 Decorative window films are easily removed and replaced to update the appearance at a later time. This, of course, is a great advantage as most landlords do not object to their tenants’ installation of film when they find out the product can be removed. 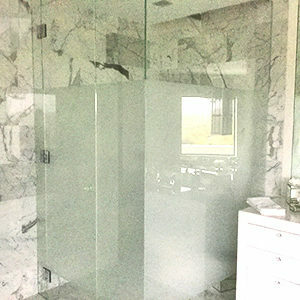 In addition, the cost of installing decorative films on existing glass is low in comparison to their films. Decorative window tinting is ideally suited for applications that require day or night privacy without sacrificing the natural light levels in both commercial and residential applications. Commercial tintings are found in banks, restaurants, health clubs, hotel foyers, conference rooms, and are used as office partitioning. Commercial buildings are dramatically increasing the use of internal glass walls as partitioning which brings natural light into offices, creating greater work productivity, as well as the illusion of a more spacious room with privacy.